A chance to enjoy the songs of Vera Lynn and a tribute to George Formby. Sincerely Yours. 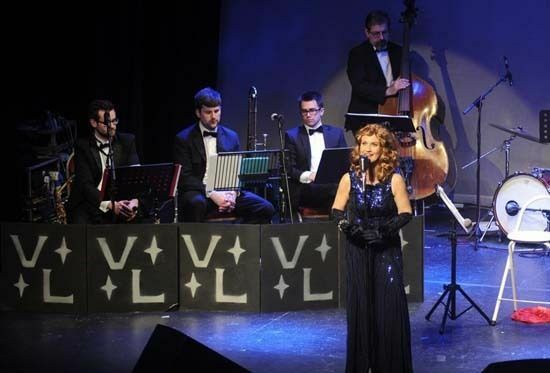 The Vera Lynn Story featuries Vera Lynn tribute artist Lorrie Brown and a seven piece live band. With support from Colin Bourdiec as George Formby. “It was both a dream and terrifying, I have been performing the songs of this great lady for over 25 years, I have performed in football stadiums to 33,000 people and sang in some of the country’s finest theatres but this was the most nervous I have ever been. In the end she was a perfect host. As soon as I entered the room she gave me a hug and congratulated me on my award. She was just so happy that I was keeping her music alive."